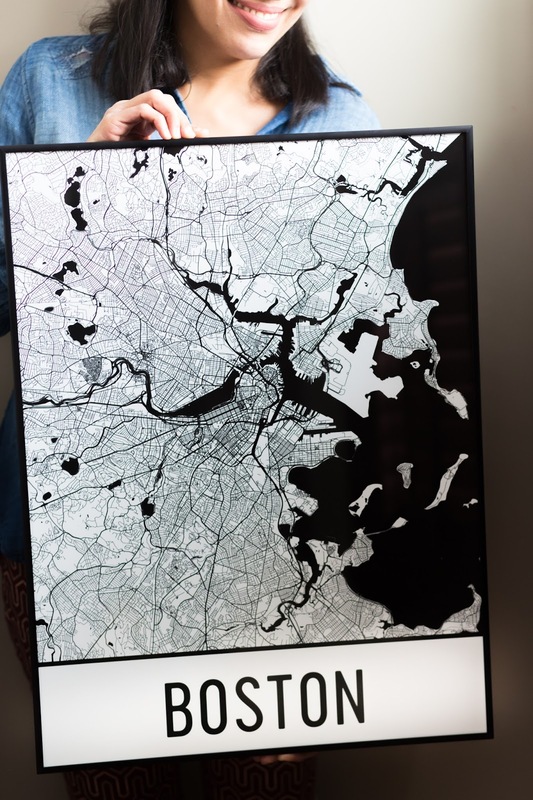 I recently received a lovely print of Boston from Modern Map Art, a company inspired by the founders’ love of traveling. 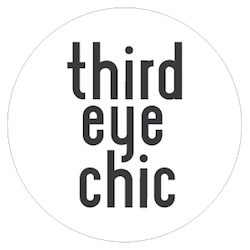 They "take your favorite cities, mountains, and places and turn them into beautiful works of art." 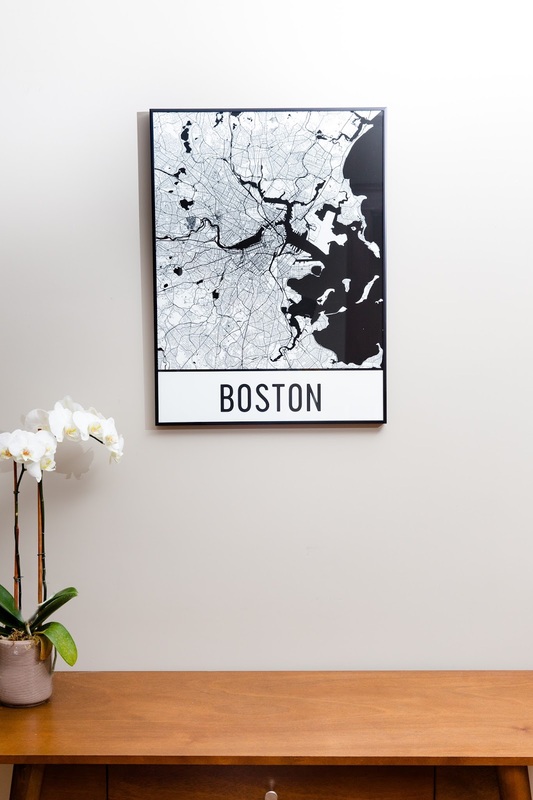 Modern Map Art makes prints of maps, giving you a unique way to cherish some of your favorite memories from different locations. The designs are modern, using city grids and imagery to make each location print special. They come in a variety of colors to fit your preference and are labeled with the city name on the bottom. 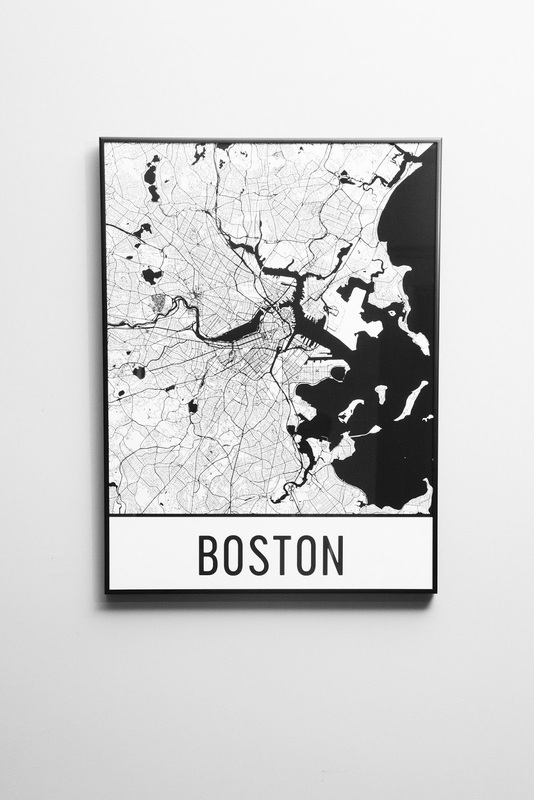 Of course, I am partial to the print of Boston, and I framed it as soon as I got it. My family moved from downtown Boston to the suburbs (about 20 minutes outside of the city) this fall. 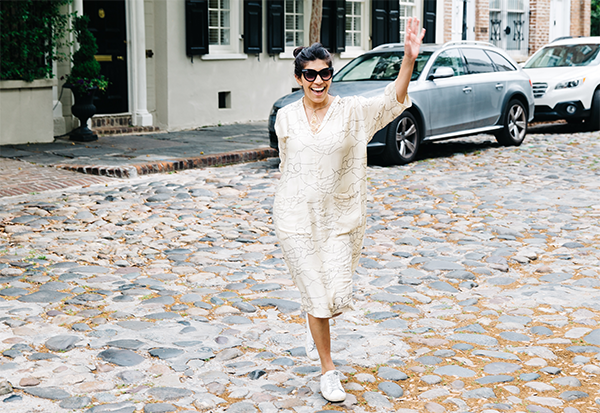 Given that I am still a total city girl at heart, this print energizes me and reminds me of my daily walks in the city, savoring its sights, sounds, and other sensations. This beautiful artwork makes for a great conversation piece about my city adventures and adds a touch of nostalgia to my decor. With this print hanging outside my home office, I feel ‘connected’ and as if I’m still in the midst of all the action. I debated hanging the print as an abstract art, without the city name at the bottom. But I love the fact that it elegantly and proudly spells Boston, making it extra special and memorable. Whether it's a bustling city or your honeymoon destination, these prints, also available in many other cities, are perfect to frame and hang up in your home or office. I am also loving their map print throw pillows and phone cases. Add these to your lifestyle or pass them on as gifts - you won’t regret it either way!